Google finally rolled out Mobile-first indexing on the very first quarter of this year. This latest update has actually been highly anticipated since the search giant’s announcement almost two years ago. Some even panicked because they thought it’s the start of a totally new way on how Google rank websites and that’s it’s a “Mobilegeddon” because it signals the end of the desktop era. But, are these speculations true? Does mobile-first indexing really affect your rankings in the SERPs? Straight from the horse mouth, let’s clarify what really is mobile-first indexing and what you need to do to make sure your website won’t be left out by this latest development in search technology. Before we delve in deeper about the technicalities behind mobile-first indexing, let us straighten out first a misunderstanding. Google explained that mobile-first indexing is about how they gather content, and not about how content is ranked. They explained that content gathered by mobile-first indexing has no ranking advantage over those ones that are not yet gathered or over desktop content. They also assured website owners that if they only have desktop content, they will still continue to be represented in their index. But, does this mean you don’t need to create a mobile version of your site? Very unlikely. Find out why you need to make a mobile version of your site and why more than ever, making sure that it is mobile-friendly should be on top of your priority. So, what really happens when Google does Mobile-first Indexing? Before that, let’s first quickly discuss the reason behind why Google decided to change their way of indexing content after two decades. It’s like this. Google has been indexing desktop content since they started crawling websites 20 years ago. During those times until a few years ago, desktop is the predominant platform used by most of their users. But, a few years back, the rise of smartphones and mobile devices had paved the way to the massive shift from desktop to mobile usage. Today, most people are using mobile devices when they access Google Search. The search giant is simply giving in to their users demand and making sure that they have high-quality user experience. How does mobile-first indexing works? Google used to index desktop content alone before. But, with this latest roll-out, their crawlers now would check first if a certain website has a mobile version and index it first. They use the content from that mobile version of your site when evaluating its relevance to a user’s query. Google clarified that they are not a using separate index for mobile-first indexing. It is the same index but the only difference is, they are now prioritizing the crawling and indexing of a site’s mobile version. The desktop version is still being crawled and indexed. Here’s a further explanation from Google to make you understand more how mobile-first indexing works. Before anything else, check first if your website is mobile-friendly. If your website has a responsive design, meaning it automatically adapts to whatever (mobile or desktop) platform it is accessed from, Google advised that you don’t need to change anything. On the other hand, if your site configuration doesn’t allow your primary content and markup to be the same across mobile and desktop, here are what Google advised you need to do. 1. You need to use the same structured markup for both desktop and mobile version of your site. You can verify if your desktop and mobile versions have the same structure data by using this tool. Google further advised that when adding structured data to your mobile site, you should not use large amounts of markups that are irrelevant to a specific page’s content. 2. It is recommended that you use the robots.txt testing tool to make sure your mobile site can be accessed by Google crawlers. 3. Google advised that you don’t need to modify your canonical links. They said that they will continue to use these links as guides so that they can serve more accurate results to users either they are on desktop or mobile. If you haven’t verified your site’s mobile version yet in the Search Console, Google strongly advised that you should. Google also assured that if you only have a desktop site, they’ll continue to index it as is, even if they are already using a mobile user agent to view your site. Qamar Zaman, a dallas-based SEO Expert and the CEO of KISS PR, totally agree with this. He is urging all website owners to create a mobile version of their websites. He also highly recommend that starting with a responsive design website is the best way to go. Despite what Google said that this is not about ranking but on how they index a content, search industry experts like Zaman begs to differ. He saw this shift on prioritizing mobile content as a signal that Google is gearing to a link-less future wherein they won’t use backlinks anymore to rank websites but based on entities. Another SEO expert, Cindy Krum of Mobile Moxie, wrote about the impact of mobile-first indexing to SEO a year ago. And, the same with Zaman, she also thought that Google is now preparing for a future less dependent on URLs. Mobile-First Indexing alludes to a future that is less dependent on URL’s as the organizing mechanism for Google’s index. She further discussed that many of Google’s latest mobile development techniques are now trying to de-emphasize the importance of URLs, site structure, and links. On the other hand, in KISSPR, another SEO expert Agnes Zang, believes that we should approach Mobile-first indexing as a strategy that helps improve the user experience. Improving the quality of user experience is a crucial factor in SEO. She said that instead of worrying about backlinks, we should focus more on meeting the needs of our target audience. Just like what Google is doing, we should learn how to adapt to the growing demands of our customers. 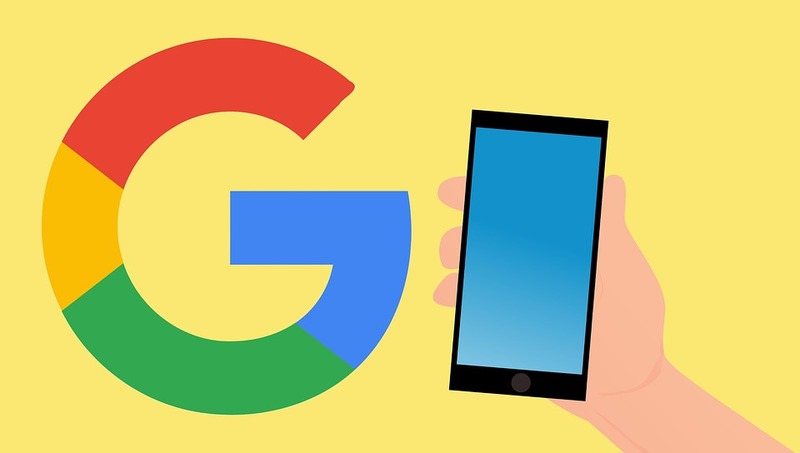 Although Google said that Mobile-first indexing won’t affect search rankings, it is still very important to make a mobile version of your website. If your website is already built with a responsive design, then you don’t need to do anything. But, if you are creating a separate mobile version, you have to follow this guideline so that Google can properly index your mobile content. The most important part of having a responsive web design website, or a mobile version of your site, is not actually all about Google’s mobile-first indexing. It is all about giving your target audience better user experience as they accessed your content via their mobile devices.